Branding tactics used to be the work of big businesses. But with today’s digital marketing, even small local business need branding campaigns. Wow, your back is tight. It’s time to find a good chiropractor. How will you find one you trust? You don’t know of any local chiropractors, so you do a Google search for “chiropractors Phoenix”. You check out what’s on top of page one, skimming over the content. You go through a few sites, get an idea, then do nothing. Your back pain kinda went away, so maybe it can wait. But you haven’t seen the last of one of these sites. Kind of a fun name for a chiropractor…you recall seeing their website. But your back pain isn’t that bad at the moment, so you don’t act. Cactus Chiropractic…again. You’re thinking you’ll have to call these guys, but right now it’s Floyd time. 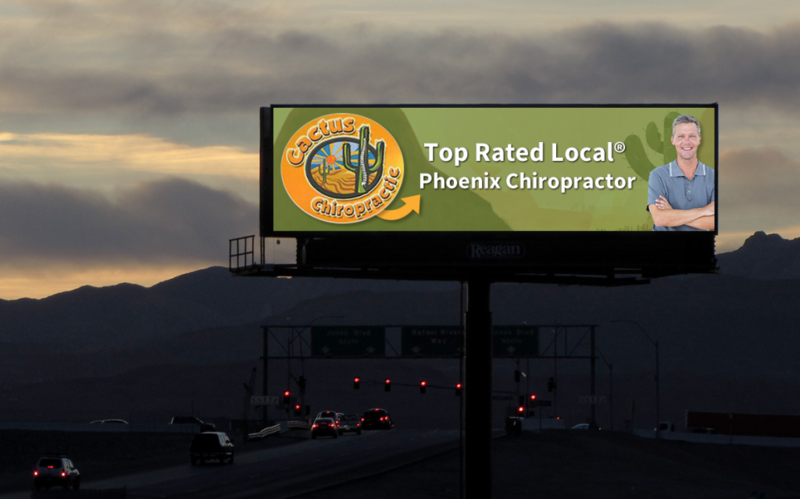 This top rated local chiropractor is everywhere. You can’t help but remember their name at this point. When you get home you do a search. But not just for any chiropractor in Phoenix. You want to know more about Cactus Chiropractic. You search for them by name. The search results are, of course, all about this practice. You check out their website again. Clean, professional. They have a video that does a great job of introducing the doctors and explaining their approach. They have some quality testimonials, but you want more reviews. You go back to the search results and check their Google reviews. Looking good. There is a page dedicated to their reviews on Top Rated Local®, so you check it out. It has an overall rating score that’s high, with review content from Facebook, Yelp, and Healthgrades. You skim over the reviews, and it looks like this place does quality work. Suddenly, you feel a stabbing pain in your back. You’re setting an appointment now. At Marketing 360®, we market for thousands of local businesses like this example chiropractic business. We wrote this to illustrate a point. In the last few years, our data shows that most small businesses get the majority of their convertible search traffic from brand/business name search queries. This chiropractic patient is an example of the typical customer journey. When it comes time to hire or buy, most people already have a business in mind and search for it by name. The social media, video, and billboard ads we showed above play a role in this. So does informational search, reviews, word of mouth, and any other local brand advertising you can do. This is a recent trend in local search. 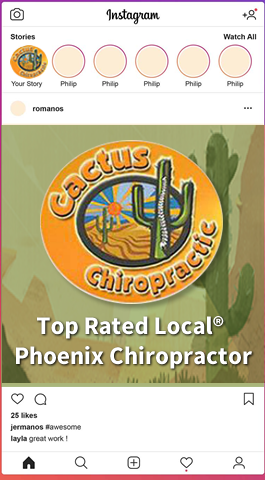 We used to focus exclusively on more generic searches (like “chiropractors Phoenix”), and it’s still great to capture that traffic. But we can also see that today, when consumers are at the bottom of sales funnel, ready to break out their credit card, they search for businesses they already know about. A lot of small business owners say they don’t “get” branding. It’s an alien concept dominated by big companies like Nike or Coke. So what’s happening with people like our chiropractic client? If branding isn’t important for SMBs, then why do so many people search on brand/business name when they’re ready to hire? 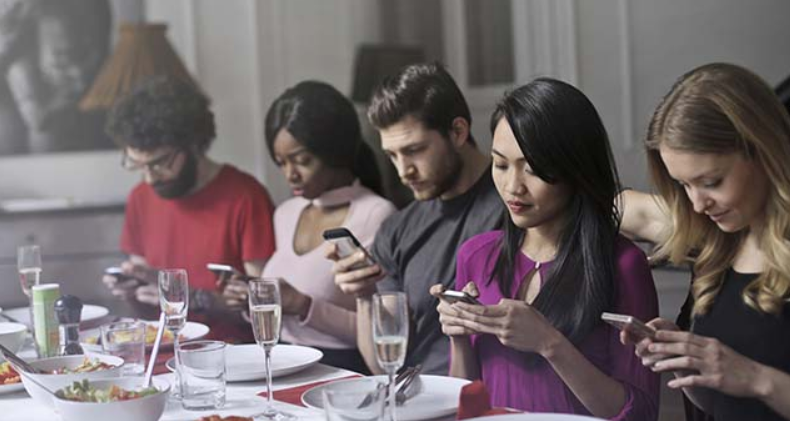 Today, thanks to mobile devices, people simply consume more content. 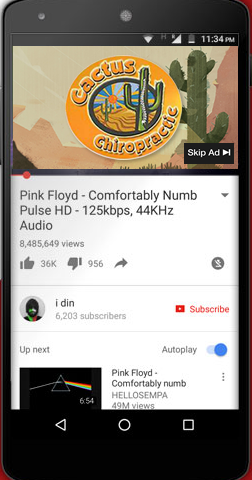 Getting your brand message in front of people on their phones is clearly an effective tactic. But so are digital billboards and vehicle wraps. Reviews are critical, and you still can’t beat word of mouth. If your marketing strategy is just to rank on page one of Google for general searches and then hope people pick you, you need to rethink it. Consumers today are on content overload, which causes them to hesitate. People research more than ever, so by the time they make a decision it’s with a business they’ve already discovered and made a connection with. Our chiropractic patient looked over a number of websites when he started his research. But like most consumers, he didn’t do anything – then. The competitive advantage goes to the business that doesn’t just make that initial contact, but the one who stays in front of people with a memorable brand message. Make sure branding is part of your local marketing strategy. Find top rated chiropractors near me.